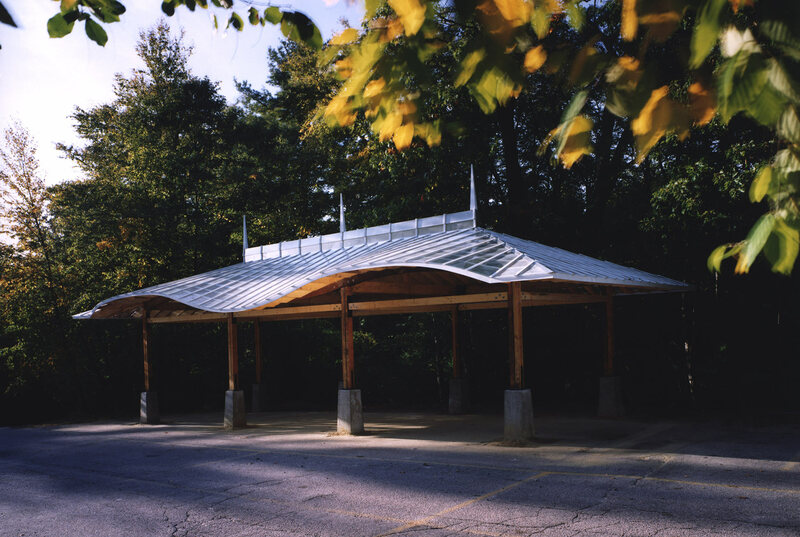 Lincoln, MA This student pick-up and drop-off pavilion is made from the same kit of parts we have used while teaching at Studio North Timber posts are anchored to a concrete plinth with tapered concrete footings. 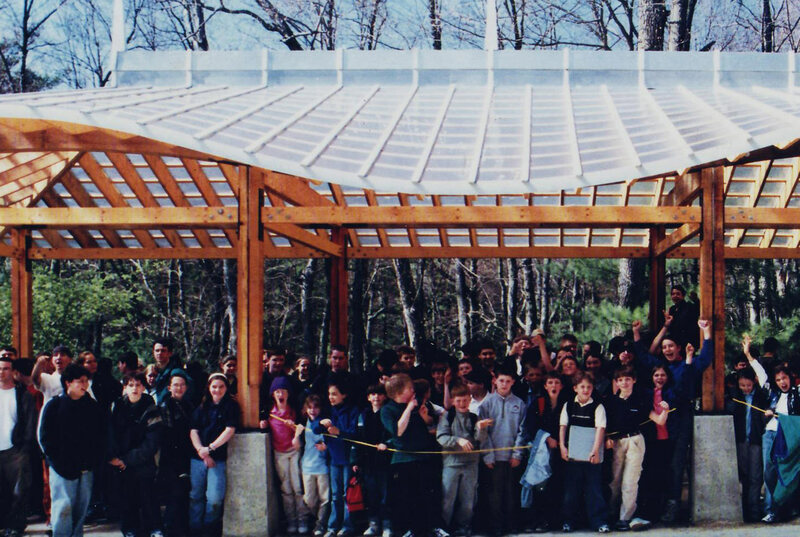 A wood lattice is topped with an undulating translucent roof made of fiberglass. The material's rice paper quality makes it a glowing beacon at night and shields students from the elements. 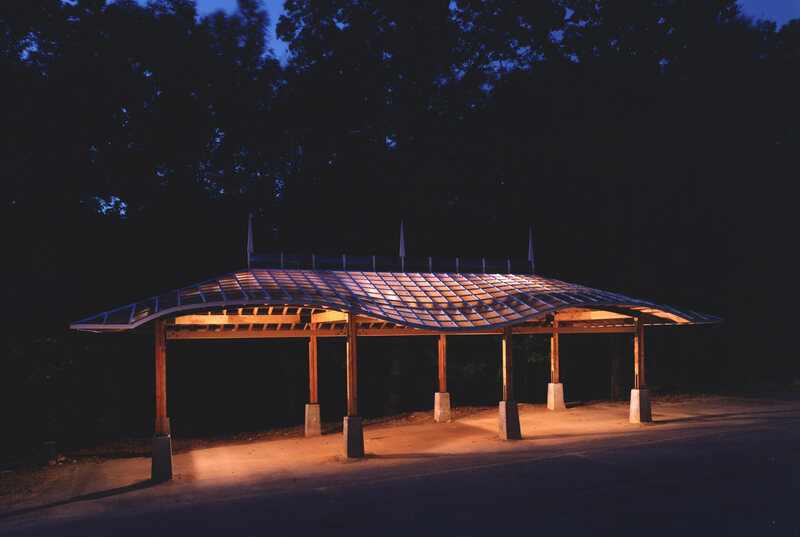 This student pick-up and drop-off pavilion is made from the same kit of parts we have used while teaching at Studio North Timber posts are anchored to a concrete plinth with tapered concrete footings. 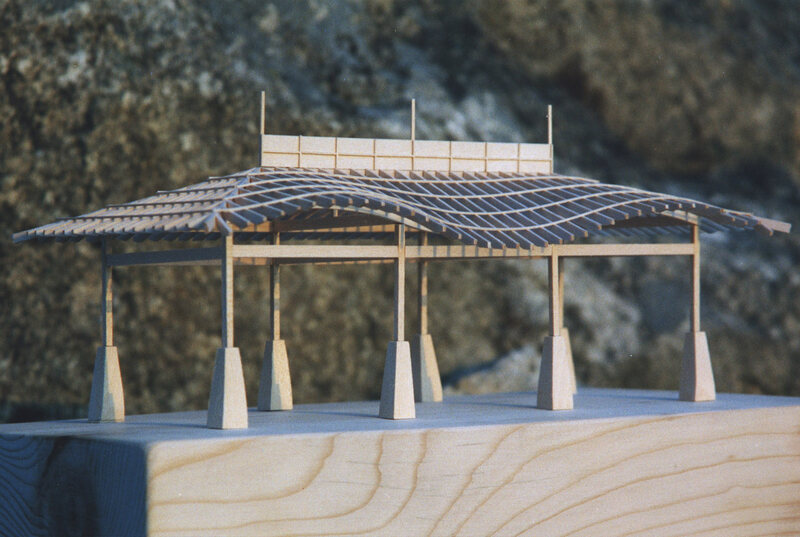 A wood lattice is topped with an undulating translucent roof made of fiberglass. The material's rice paper quality makes it a glowing beacon at night and shields students from the elements.